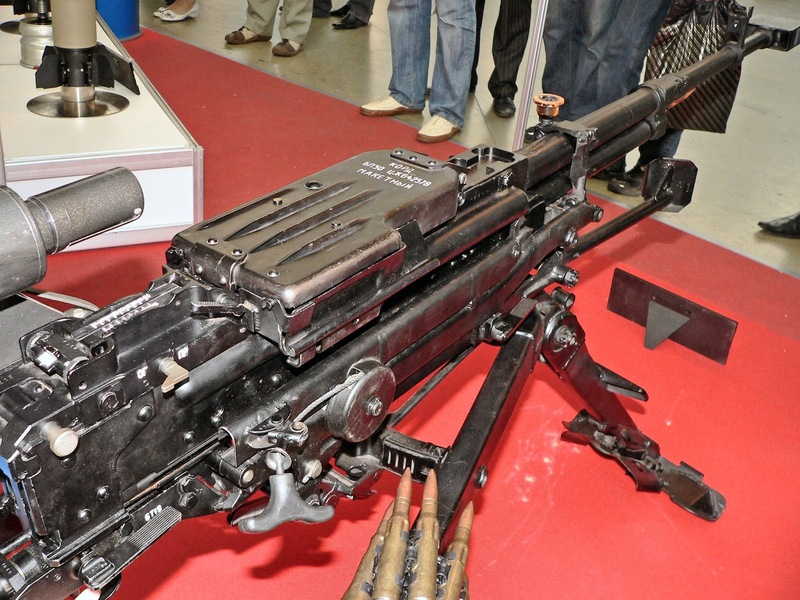 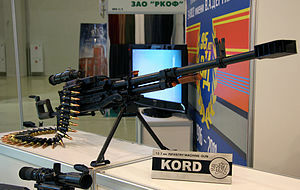 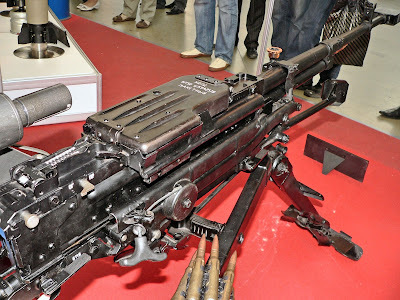 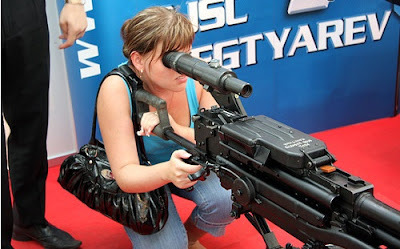 The Kord-12.7 mm heavy machine gun is a Russian design that entered service in 1998replacing the older NSV machine gun. 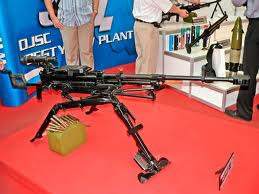 Externally the weapon resembles the NSV, however the internal mechanism has been extensively reworked, changing from a horizontally pivoting breech block to a rotating bolt design. 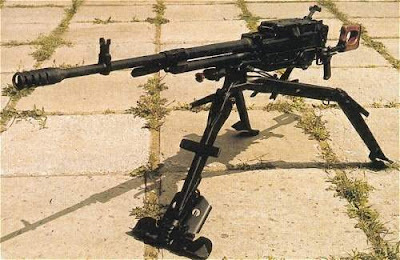 Additionally the gas system has been changed and the muzzle baffle redesigned. These changes give the weapon reduced recoil compared with the NSV, allowing greater accuracy during sustained fire. 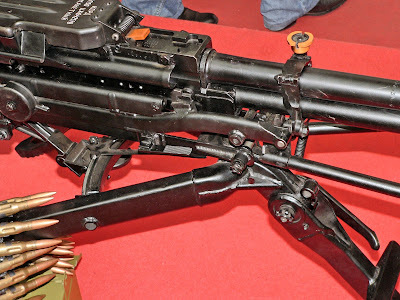 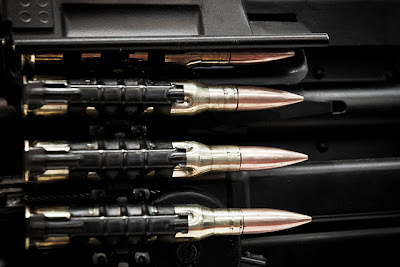 The catalyst for the development of the weapon was a complete lack of any heavy machine guns in construction at that time in the Russian Federation. 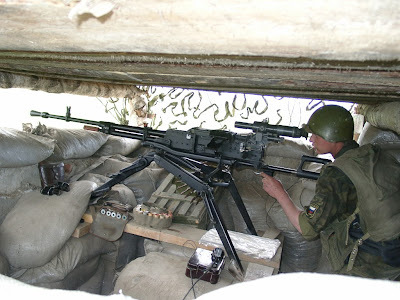 Prior to the dissolution of the Soviet Union, the weapon that had functioned as the heavy machine gun was the NSV, or "Utes" or "Utjos" (meaning one lonely cliff in Russian, this name was its designation during development)(утёс) machine gun. 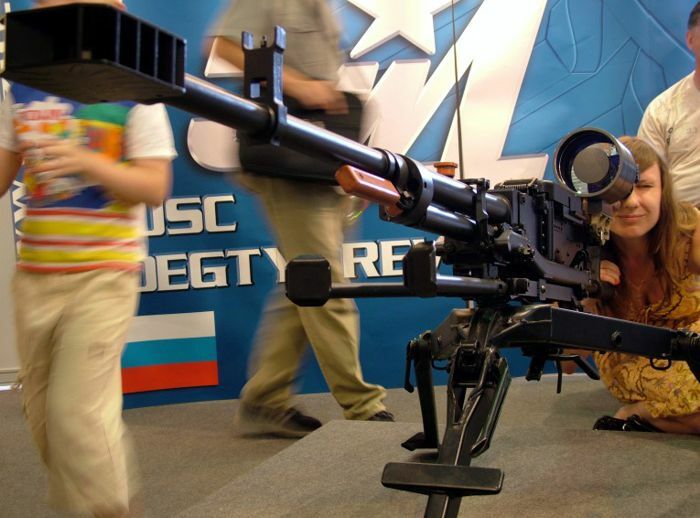 The main production centre for the NSV was located in what is now Kazakhstan. 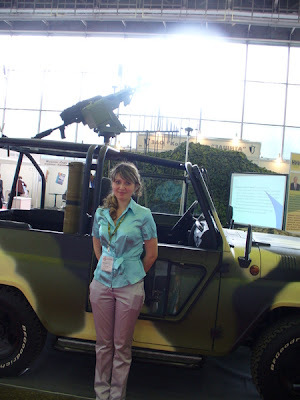 The Russian Degtyarev bureau was given the job of producing an updated version of the weapon chambered in the 12.7x108mm cartridge, which could be used for support, mounted on vehicles or in an anti-aircraft capacity.